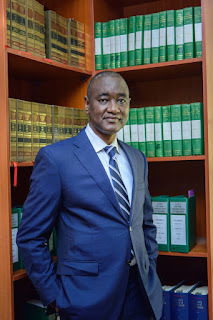 Ed's Note - The learned silk, A.B Mahmoud SAN is currently contesting for the Presidency of the Nigerian Bar Association and won our poll by 71% when we asked our readers who they had rather have lead the Nigerian Bar. Mr. Abubakar Balarabe Mahmoud graduated from Ahmadu Bello University, Zaria in 1979. He holds a master’s degree from the same university specializing in Company and Labour Relations Law. He worked for 15 years with the Kano State Ministry of Justice rising from pupil state counsel to the position of the State Attorney General and Commissioner for Justice and co-founded the law firm of Dikko & Mahmoud in 1993, the same year he was elected as Chairman of the NBA, Kano Branch. AB, as he is popularly known has considerable experience and specialized training in various fields of law and has broad experience in various aspects of lawyering skills. He has at various times acted as advocate, a solicitor and also as Arbitrator. He has considerable experience locally and internationally in dispute resolution and complex transactions. AB has advised various public sector clients and has at various times acted on behalf of Federal Ministry of Finance, Federal Ministry of Water Resources, the Independent National Electoral Commission, the Bureau of Public Enterprises, the Nigerian National Petroleum Corporation (NNPC), the Nigerian National Assembly and the Central Bank of Nigeria (CBN) as well as several other private sector clients. AB served on various bodies both at Federal and State levels. He was member of the National Committee on Crime Victims Rights. He served as a member of the Presidential Committee on Incentives, Waivers and Concessions (for Investments and Businesses) in Nigeria. He served as member of the Board of the Institute of Advanced Legal Studies, Centre for Democratic Research and Training Mambayya House (Bayero University Kano). He has also served as a member of the National Advisory Council of Nigeria Stability and Reconciliation Programme NSRP (a DFID supported programme aimed at reducing violent conflicts in Nigeria). AB also chaired the National Committee on the review of the Nigeria’s Code of Corporate Governance for public Companies. He is also a member of the Vision 2020, Business Support Group and was on the Board of Nigerian Extractive Industries Transparency Initiative (NEITI). He is currently the pro-Chancellor Kano State University of Science and Technology and Vice-Chairman of the Council of the Nigerian Stock Exchange. AB has trained at various times at the International Development Law Institute in Rome, where he obtained a certificate in Law and Development in 1987, and in Legal Aspects of Privatization in 1990. He also holds a Diploma in Sociology of Law from Onati Institute for the Sociology of Law in Spain (1990) and another certificate in techniques of privatization from the Institute of international Development at Harvard University (2000). He was at North Western University Chicago where he obtained a Certificate in Corporate Law and Business (2002). He also obtained a Diploma in International Commercial Arbitration of the Chartered Institute Arbitrators UK from Keble College University of Oxford. He was admitted as a Fellow of the Chartered Institute of Arbitrators in 2008. He was recently a participant at the Yale University jointly run leadership programme with Nigeria Leadership Initiative. AB has maintained active engagement with Civil Society Groups, the Academia and public interest organizations. 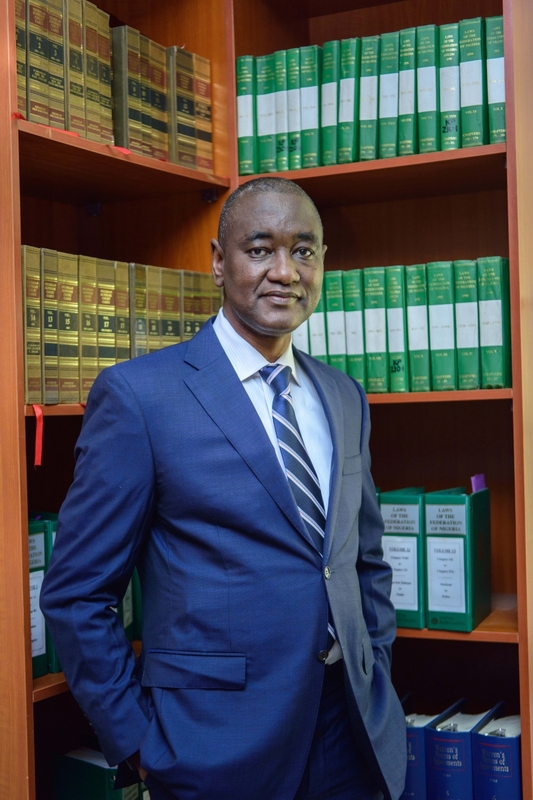 He has appeared in many cases before the Federal High Court, Court of Appeal and the Nigerian Supreme Court and has acted as special prosecutor in various high profile cases including the CBN initiated Banking Prosecution. He has participated and presented papers in various conferences both in Nigeria and abroad. He was elevated to the rank of Senior Advocate of Nigeria in 2001. He is a life member of the Body of Benchers, Nigeria’s highest body for regulating the legal profession. AB holds the National Honour of the Officer of the Order of the Niger (OON). He is also a Senior Fellow of the Nigeria Leadership Initiative (NLI). AB is married to Hon. Justice Patricia Mahmoud and they are blessed with five children and a grand-child. TO REINVENT THE NBA INTO A BRAVE NEW BAR DRIVEN BY THE KNOWLEDGE AND SKILLS OF ITS MEMBERS AS A VERITABLE AGENT FOR NATIONAL TRANSFORMATION, WHILST SAFEGUARDING THE INTERESTS OF ITS MEMBERS.